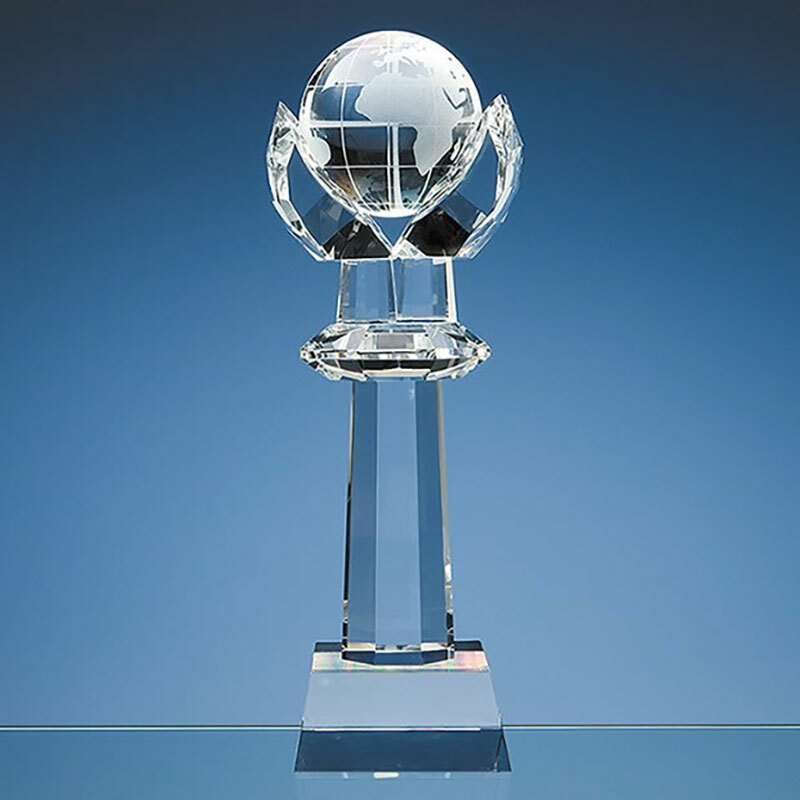 Optical crystal globe column award featuring crystal globe set on clear crystal column and base. 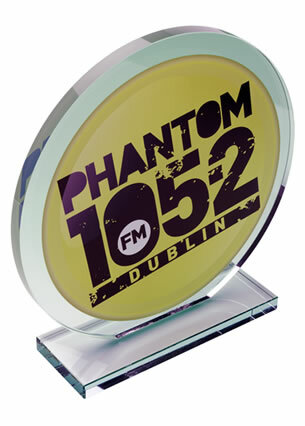 These 310mm (12in) contemporary awards are ideal as trophies or prizes for a range of events and achievements. Customise with engraving and/or colour print options. These superb crystal globe awards are suitable as trophies or prizes at the highest levels of achievement in a variety of fields, from sports or educational awards to corporate or industry awards. The globe design makes them particularly fitting for any event or competition with an international or global aspect. Handcrafted in flawless optical crystal, these imposing awards stand over 12in (310mm) tall and feature a finely detailed globe set on a clear crystal column and mounted on a crystal base. 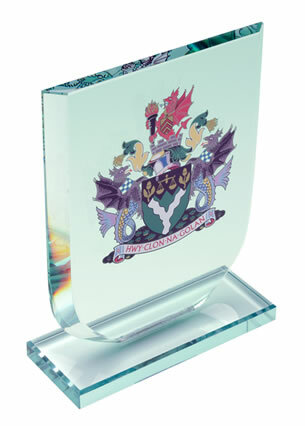 They can be customised on the base and are offered with engraving and/or colour print options. 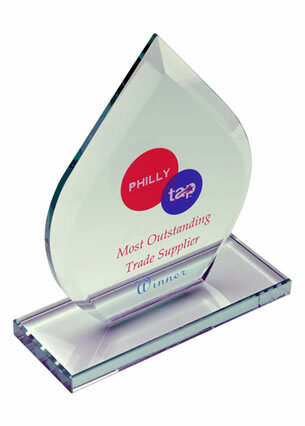 For shipping and storage, these crystal awards are supplied with a foam lined presentation case.